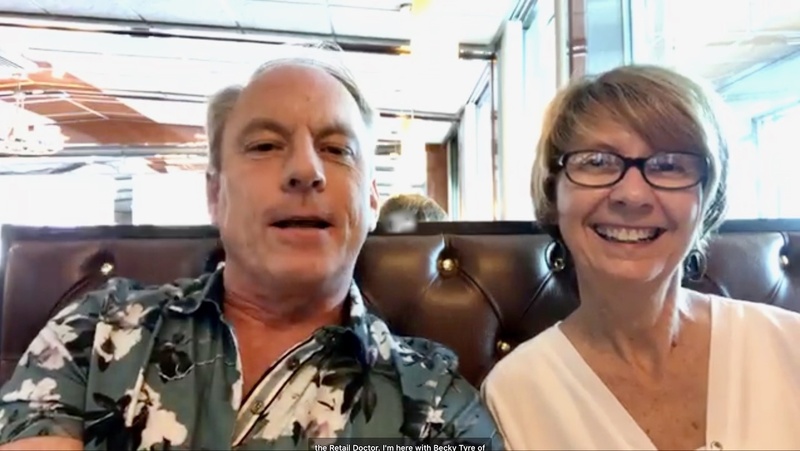 Bob Phibbs interviewed Becky Tyre, Founder and editor of the Retail Details blog and a contributing Editor at Gifts & Decorative Accessories magazine. She is a shop local advocate and specializes in visual merchandising. • Clutter comes not just from poor buying but also poor fixtures. • Collaborate with local makers or national companies for unique items that drive margin. Becky: I got into retail actually right as I was getting ready to go away to college. It was a part-time job. And I started with Burdines which became Macy's part of Federated Department Stores. So I started in corporate and...started on the sales floor. And then moved into corporate and into training. Bob: Well, slowdown a little bit. So what were you selling at Burdines? What was your department? Becky: My department was the juniors department. I was a college student and I worked with the juniors department, and then trained some of the young associates that would work within that department, and then I went into raining to teach the department managers. And back then, they had associates that would go around and approve checks. Remember when people wrote checks? Bob: Oh my goodness. I do remember that. Becky: Point of sale systems. And there was a training room upstairs. Later on, after college, when I went back to work for the same company, believe it or not, in another town after I got married, worked for Burdines again in Florida on another location as their training manager. I had a great big office upstairs in a room where we trained people. And they would come in and learn to use a cash register. And what we would now call a point of sale system. Bob: Well, let's stop right there. That was not something they did in an hour because I started at the Broadway Department Store back in, goodness sake, '76. And if I remember correctly, back then, I wanna say it was two weeks. Is that possible? Becky: It would have been about three days. Becky: About three days training and that it would be like a half day on the floor in whatever department they were training in. And a half day in the classroom. Bob: It was serious business. You had to like pass that before you could go out, right? They didn't just say like, "Here you go." Becky: Absolutely. And then there were separate trainings then, for like I said, those people who would come around to the registers and approve when someone wrote a check or approve returns, and that sort of thing. It was a very different world back then. Bob: Yeah. Back then, we had to look up the credit cards in a little book. Remember that, you had to find out if the credit card was good? Bob: That was dating myself there. And so you were a training manager for Burdines. Becky: Yes, it was Burdines. Becky: Yes, part of Federated Department Stores, later became Macy's in Florida, which it is still Macy's at this point. Bob: And then how did you get to the infamous Becky Tyre with Retail Details? Becky: I went into independent retail and then started working with independent retailers after that. I've only ever worked in retail with one exception when I took a four A side job in politics, which happens to be the only other thing that I'm passionate about other than family and friends, I guess. Bob: Wow. Well, that's interesting. What's been like your biggest challenge do you think in...because you're like me. You had to build a brand, right? I mean, let's face it, I always say, unless I charge for it, you're just another guy with an opinion. Bob: Well, hold on a second. Everybody, you should follow Retail Details. I don't know how Becky comes up with like hundreds of pictures a week. I like to think of myself as a pretty social media savvy guy, but my goodness, you always have these amazing displays that you curate from around the world. Becky: I do. People send them to me. I mean, I certainly can't take credit for taking all of them myself. I also just quite frankly find them and repost others and give credit to them, of course. Bob: Yeah. But you have the eye for it. I mean, that's where I'm going that I think you teach by showing those. Does that make sense? Becky: Absolutely. And my tagline is stay display inspired. So the whole idea is to inspire others through sharing other's work, and to inspire people to create beautiful spaces in their stores, and present their merchandise beautifully so that they can sell more. And if it's by showing you how others are doing that, then that's wonderful. And if it's through something that I've inspired or I've created a blueprint for, that's fine. And if it's something that an independent retailer or maybe it's someone at Macy's that's created it, you know, I don't have any problem sharing a corporate presentation as well. And then I travel around a lot through my writing assignments on my speaking engagements so that I'm able to photograph those. And as you know, my husband travels with me and does a lot of the photography as well. So we do what we call retail road trips. And we get a lot of photographs there. And then people send them to me via private message or email. Every day I get, you know, a spattering or a dozens in my email too. Bob: You know, to that point, one of my pet peeves of independent retailers is clutter. I don't know why it's acceptable to walk into smaller stores and it just looks junky. Do you have any tips of somebody...I mean, I think you would share that with me, yes, or? Becky: Absolutely. And I have one tip where I try to help them realize that they have clutter. And one way that I address it with them, and it's one way that I try not to hurt their feelings is to help them to get it on Instagram. And I say, "When you're looking on Instagram, no one wants to see this much big. So we wanna find a pocket of your store that is Instagramable. And then you want to make enough of these pockets in your store. So we're going to find something in the store that we can find here, then we can make a beautiful little Instagramable pocket. And then I want enough of your store to look like that pocket." Bob: I love that idea. That's a great way to do it. How do retailers end up with so much clutter? Is it because we don't know our numbers? Is it because we just like buying what we like? What do you think? Becky: Part of it is that they have purchased too much and part of it is that they don't know how to merchandise it, because the clutter is not always from having too much. Sometimes, it's just arranged incorrectly or having the wrong fixtures. You know, sometimes it's a visual merchandising problem, and sometimes it's an over purchasing problem. So, you know, then sometimes it's both. Bob: Well, you mentioned something when we were talking on my livestream a few with months ago about, you know, the dangers of buying what you like. Becky: Right. Yes. And when I go into stores, you know, whether it's on a paid gig or whether I'm just visiting, let's just say that I'm just visiting a store and they want a bit of advice, which I have no problem giving. And they go, "Oh, you know, you're a retail designer," or whatever. And maybe they think that I'm going to present as though an interior designer would come in and say, "Your store should tell the story of who you are and be a collection of what you love." And this is what they want me to say, right? I think we've had this discussion. And no, your store may tell a story of who you are or represent the store owner to a certain extent. But that store needs to be a collection of what your customers want to buy and what you can present to make a living with a profit margin [crosstalk 00:09:15]. Bob: Yes. You better know that customer, what she needs in her life, not what you bought because it was cute, and you liked the wrap when you were traveling to the Javits Center or Vegas one time. Becky: Absolutely. And the collection needs to be what your customers are going to purchase. And hopefully, the retailers that are being successful these days are putting enough effort into listening to their customers, and knowing their customers, and doing their research. And that's not to say that they're not getting valid information from good sales reps because there are some that have had that information. Bob: And I think merchandising has changed. It certainly seems, particularly an apparel that, you know, it used to be fold everything neat and tidy, and look like it's somebody's closet. And I think nowadays, you wanna show the jeans display's a little messed up, or hanging on a hook, or the blouses are not all perfectly done because it comes off sterile. Would you agree with that, or? Becky: Absolutely, yes, I think. And that's one of those things that just kinda runs in trends sometimes too depending on whose look you're going for. If the Anthropologie look is what's in style versus the Gap look or, you know, whatever the latest trend there is. Bob: The Gap's look is what's on sale for 40% off, again, this weekend only. Don't come buy next weekend when it's also 40% off, right? Becky: Yeah, I guess so. Bob: That's their strategy, I guess to me. You see, that's where you're different. See, you're empowering to everybody. I'm a little bit more blunt. So Becky, I think it makes a good team. Becky: That's okay. You know, we would. We would make a wonderful team. Bob: Yeah. What do you think the best advice you've ever received has been? Becky: The best advice I've ever received, to be authentic. Bob: I think that's great. I think that's something that, you know, as a writer, for me, I think I was just like most writers, and you somehow were writing for that third grade teacher that, you know, you're doing all of these things. And it comes off false and people don't really wanna follow it. And I think retail is that same way. And certainly in your writing, I think that you've... Have you had a struggle with when you start out with being authentic, or do you think retailers have a trouble with that, or? Bob: There you go. If you can get it quickly and you say, "That's me," then I think you run into that rarefied space where Vera Bradley lived for 20 years, right, which was very exclusive, it was a very tight organization, it was very hard to find. But when you found it, you wanted everything. And I think that's what most retailers were trying to do. But I think when we try to be everything to everybody, we get in trouble. Have you found that? Becky: Yes. And you know what? I'm finding in this discussion. The independents are looking for this. 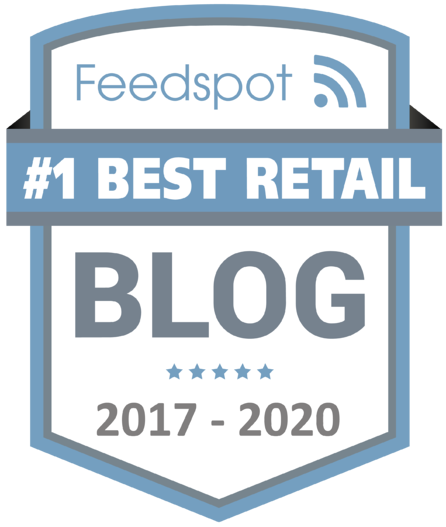 And very specifically, I would say in 2018, this conversation has come up quite a bit with independents even that have only a single store that are looking to this whole private label and this branding at the smaller level, and wanting to have their own brand in their store, or very specific things in their store that are not located, that are not available at any of their competition. And by competition, I mean, down the street, or in their same town, or online, you know, all of their competition. For instance Whitney from Collage in Pennsylvania that you had on your podcast a few months ago...I mean, a few weeks ago, excuse me, she works with a local pottery studio or ceramic studio in her town to produce something that says York, Pennsylvania with a #firstcap or #firstcapital because York was the first capital. And that's something that is only available in her store. So she has curated, which I'm not always thrilled with that word. But in her case, it is truly curated for her store. She has created a collaboration with a local maker. That item is only available in her store. And because she's able to find someone who can make that at a price point that she's able to negotiate and have something unique in her store. Becky: So do encourage them to collaborate with local makers or national companies, find some margins that work and have things that are different. Bob: Yes, that is the key. And this is different than private label like, "I'm doing this to be cheaper." Like, "I wanna go to a manufacturer and just do the same thing private label, it would be cheaper." That's not what we're talking about because still, you know, the days aren't very far from now, Becky, where you'll be able take a picture of something and, you know, Amazon, or Google, or whoever is going to analyze it and be able to say, "Here it is." And that idea, the private label also gives you more margins because that's where I think we're seeing stores struggle with the idea that, you know, 80% of the merchandise with you is with your competitor down the street. And I always, you know, on my Facebook live videos on Thursday mornings, invariably every other month, somebody will say, you know, "I built this brand with my sales rep, but now it's available across the street for less," and, "What should I do?" And there's always that temptation to say, "We'll pull the brand and screw them." But, you know, somebody is like, "Cut your nose off to spite your face." What would you tell someone like that? Becky: I would see if the brands...or find other brands, or I would find brands that you can put your own label on. Bob: And so you would say, if that's the case, then if someone's beating you on price, then you really need to look at that partnership because a good brand, I would think, would see that and say, "Okay. Well, we don't wanna do that with you, so we won't sell the exact same items across the street." Would you agree? Becky: I also encourage them to just find other brands. Bob: Yeah, good, good. You know, and I think we're moving back, at least in the States, to more of a pilgrims look at commerce where the individual storekeeper just needs to have that one store in the location. And that's the one store they want. They don't have to be the next Starbucks for their coffee house. They don't have to grow the brand and suddenly become like Urban Outfitters. They can just be this one brand in downtown LA and that's who they are, and they know it, and they executed brilliantly, and they do a great job, and that's it. And I think that that is gonna be the way forward that you don't have to have all these outside pressures and try to be in multiple regions where you have no business knowing who your customer is, someone else knows better. Becky: In most cases, what we're hearing at the independent retail level is that people want to interact with the owner of the store. And the owner of the store can, in most cases...well, in all cases, only be in one store at a time. So this multiple store concept changes everything. It's not to say that there aren't successful, there's many successful multiple stores. But if you're gonna have one store or you're gonna have three or more, you're going to run them completely differently then. It's a completely different animal. Bob: Very true, I always say that second store is the key. I don't care if you can execute one. But to have the systems in place where you are not the brand is really hard because, to your point, most people do know the owner, and they feel like they had a stake in getting you going. And they feel kind of neglected when they don't see you, or at least feel that presence. So I certainly...I think that makes an excellent point. What's your concept of customer service? And what would it take for it to be excellent for you in a retail store? Becky: You need to be approached immediately. You know, we could argue for hours what that approach is. Bob: Mine is right. But anyway, go ahead. Becky: There are many theories out there. And, yes, and we've all stood up in front of groups or sat in audiences and heard many variations, and walked in stores and heard many variations. So, yes. But be approached, and then product knowledge, and have the stories told. Bob: And what does that mean, have the stories told? Becky: Have the stories of the products told. I wanna know why did you buy this. I mean, as a store owner or the buyer, I wanna know why is this product in the store. What does it do? Why do I need it? Why does that cost this much? Why does it go with this? Why is it sitting on this table with these other products? And who's it for and why should I buy it? And why do I need more than one of them? I mean, sell it to me. Bob: Those are excellent points, I hope everyone just plays that back because that's the mark for me that you can answer those questions particularly about why is it here and why do I need one of them, or why do I need more than one of them. And all of those points, when you buy something, you need to know that. And if you're in larger store and you're listen this, and you're a sales associate, you need to know those answers not because someone is going to quiz you on it and you get a raise of 10 cents. That's not it. But when you know all of that, suddenly it's your store. That's why I always like to think of it when I was selling cowboy clothes and some other things. It's my store. And that gave me great pride to be able to share that. I think that too many retailers assume that employees will just get it and they don't. Would you agree? Becky: Absolutely. But it's not just the customer service of the verbal and the sales associates to the visual merchandising of it. Some of what I just said has to be conveyed visually and not just verbally. Bob: Well, that's why you're brilliant because exactly, it's all the senses. My personal thing with gift stores is why did everybody think that having all of the candles burning that were scents was smart merchandising because it gives me a headache, and I can't smell one of them. And I just walk out like, "Wow, you blew that." So, you know, be careful what your...Again, what are you trying to get across, right? If you're going to have a pumpkin spice candle for the holidays, is that because a lot of people, once they smell it, buy it, or is it because you like it? Because it could very easily be a turn-off or vice versa, it's such a great smell that everybody who smells it seems to buy one, or we can upsell it and that's it, and that's our brand, but you have to know that about your customer. So good. I know you just moved from Florida up to the Catskills to be with your family. And I think that's great. And I love following all your posts about you're excited to see the Catskills. Meanwhile, I'm looking to move from the Catskills down to downtown Los Angeles into a skyscraper. But, you know, when you feel overwhelmed or you've lost your focus temporarily, what do you tend to do to kind of gain that back? Becky: I tend to head to a little main street when the stores are not open, and look in the windows, and walk on the sidewalks. Bob: That kind of ground you? Does that help get you... For me, shopping is work, Becky. So whenever I go into a store, it's like, "Oh, my God, how do they stay in business," right? So I'm clicking off all the things that I would do differently and that's occupational hazard. But for you, that's what energizes you. Is that it, seeing their creativity? Becky: Well, when I go when the stores are not open. Bob: Gotcha. And what would you tell a friend looking to go into retail? She's been a teacher all of her life, and her and her daughter have this idea. They're gonna open, I don't know, a pet salon, or a pet store because they've always wanted to work with...they love pets so much. What would you tell your friend about the retail? Becky: Well, the red flag went up when you said her and her daughter because we're gonna have that discussion first. And we're gonna be very frank about how family businesses work. I'm not in business with a family member, so I can say this. Just a very frank discussion, and talk about some instances? Bob: No, you can't stop there. What does a frank discussion include? Becky: About they need to look very frankly at their family and see if that can work because it's very difficult. Bob: I would agree. When things go wrong, would you be willing to fire your mother? Becky: Exactly. And it happens. And I would be more than happy to connect them...I do a lot of connecting people, Bob. Bob: Yeah, I notice that. Becky: And I'd be more than happy to connect them with people that I can connect them with that have had good experiences and bad. And that's I just connect you, and you just chat away, and make your decision based on some hard data here that...I mean, not hard data, but some personal experiences, okay? And then, okay, fine. Then you make your decision. And you move forward or not. The other advice, once we get past that family issue that you threw there in your little...thought you'd slip that in there, didn't you? Becky: The next thing I tell anyone, if they're talking about opening a store, is three words, retail is lonely, because they do not realize this until they open a store. And it's very hard to convey to someone how lonely that's going to be. So I do encourage retailers to reach out to each other. And I've noticed, you know, like on your Thursday, Facebook lives that you do. I'm sure that you have retailers on there that comment every week that kind of know each other because they've probably networked with each other from that. There's other Facebook groups, you know, private groups and things where people probably know each other right, and may or may not communicate outside of social media. I'm sure that there are other ways that these retailers meet each other. And I'm pleased to facilitate that from time to time. And every once in a while, I'll go in to a store that just reminds me, you know, it might be in Phoenix, Arizona that I might go into a store that reminds me of a store in Chicago that has the similar vibe. And I'll be like, "You know so and so? I think you would get along." And it might be that I noticed that they have the same kind of like quirky political stuff in their store. I could just tell they're on the same wavelength and, you know, so I'll just hook them up via email or something just to give them that connection if they ever need. Because sometimes, it's as simple as something like they're renegotiating a lease on their...you know, like they want some build-out money or something. And these are questions that you don't always know who to ask. Like, what's a reasonable allowance that I could, you know, am I stretching it if I ask for such and such? These are not things you can look up easily. 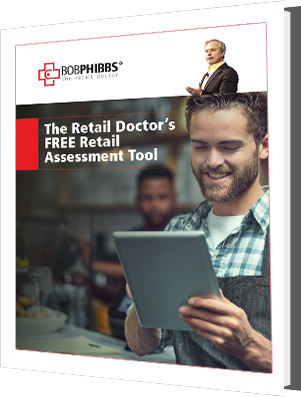 Bob: I want to bring you back to that lonely idea because I think that's what leads so many independent retailers to fall into the trap of making your employees your friends, which is just as bad as going into business with a family member, right? I mean, they aren't your friends because you have to be able to fire them, and reprimand, and hold accountable, and goad them, and train them, and encourage them. And that's very different when you are paying somebody, you're expecting ROI. Becky: That's true. And yet, on the flip side of that, you do have to have a certain trust level and bring them in. And that's where a very strong business ethic and ethos comes in where hopefully someone whose darts a store has, some business training, and knows where to draw the line with those trust levels, and where to bring in. And I think job descriptions are important, and I always encourage store owners to have job descriptions even in very small stores so that their store manager or their...even if they don't have...I mean, they do have titles, but even if they don't have a huge hierarchy that everyone has assignments and somewhat of a job description at least, so that it's defined who is in on what parts. Bob: And what you do and you don't do to work for me. No, I think that makes a lot of sense. Well, we're coming to the end of our time here. I always have to add and asking about the name of my podcast. So tell me something good about retail. Becky: My favorite thing about retail lately, Bob, is what I'm seeing in the collaborations, you know, I alluded to it earlier, that I see retailers reaching out. Like, at the trade shows this summer, I think I saw retailers that were as much looking for sourcing for ideas as much as specific products. I see some innovation, I see some...they're looking for inspiration as much as product. And I think we might see some interesting changes in some forward movement. A little less whining and a little more, "I think I can do this." Some hopeful feelings. And probably some people that are gonna go ahead after Christmas and close up shop because they're not hopeful. And that's okay, you know, that's okay. Bob: Well, I think there's a third wave of retailers coming in. I think there's some young people nipping some more stablished retailers' heels. They know their numbers, they know social media, they might have an online store, they're gonna open a brick and mortar store, and they're gonna start off at such a higher level of engagement and passion that we're gonna be keep talking about retail renaissance, I think, in an awful lot of areas. Becky: Absolutely. And I think they're going to be very engaged in their communities. And I'm really excited about that. Bob: Nice. Well, good. Well, tell me, how do we get in touch? How do we find out about you and Retail Details? Becky: Well, you can always find me on Instagram. This happens to be my favorite platform, at least for now at Retail Details and on Retail Details Blog on Facebook, and on retaildetailsblog.com to read my blog. And click on any of those to email me. To find out more about Becky and Retail Details, go here.